This book focuses on the diverse impact of forest history in general, and of forest continuity, fragmentation and past management in particular, on the diversity and distribution of species. Focuses on how forests and land-use change can both exacerbate and mitigate climate change. The book is intended for students in the field of forest and environmental planning and environmental policies. The boreal forest holds almost one third of the world’s vegetation and soil carbon. Climate change could increase fire risk across most of the managed boreal forest. Decreasing this risk by increasing the proportion of broad-leaved tree species is an overlooked mitigation–adaption strategy with multiple benefits. 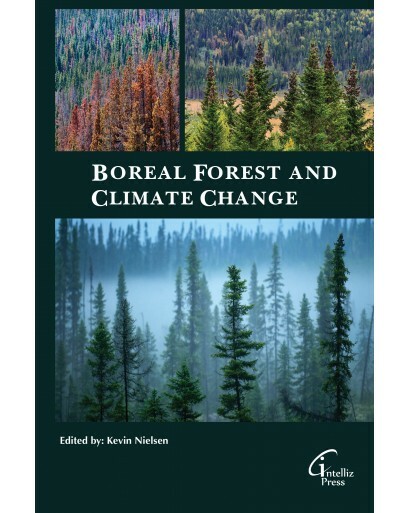 The book focuses on current understanding of the ecology of boreal forests and describes their unique features in the context of circumpolar and global patterns. This book aims to synthesize knowledge on boreal forest carbon stocks in relation to changes in fire severity. 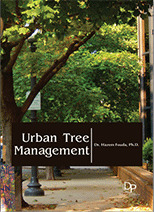 Urban Forest Ecosystem Management provides a detailed information related to urban forests and its importance for the human lives. Urban forest ecosystem is exposed to various disturbances associated with the urban environment and demands for proper management and sustainable practices. Various methodologies related to the implementation of urban forest ecosystem framework have been outlined along with the components and management plan required for the urban forest ecosystem management. Readers will get the opportunity to learn various application of ecosystem management. It will help readers in improving their understanding of urban forests by elaborating the evolution of city forest. SE04-470 Forest Ecology: Past, Present and Future. Elegant and beautiful, rich in history and supremely useful, birches have played an extraordinary yet largely unrecognized part in shaping both our natural environment and the material culture and beliefs of millions of people around the world. For thousands of years they have given people of the northern forests and beyond raw materials in the form of leaves, twigs, branches and bark, as well as wood and sap, not simply to survive but to flourish and express their identity in practical and spiritual ways. Tough, waterproof and flexible, birch bark has been used for everything from basketry and clothing to housing and transport, musical instruments and medicines, as well as a means to communicate and record sacred beliefs: some of our most ancient Buddhist texts and other historic documents are written on birch bark. Birches have not only shaped regional cultures – creating, for example, the Native American wigwam and the birch bark canoe – but continue to supply raw materials of global economic importance today. Birch explores the multiple uses of these versatile trees as well as the ancient beliefs and folklore with which they are associated. Richly illustrated, this book presents a fascinating overview of their cultural and ecological significance, from botany to literature and art, as Anna Lewington looks both at the history of birches and what the future may hold in store for them. SE04-474 Forest Conservation and Management. Forests are influenced by climate, landform and soil composition and they exist in a wide variety of forms in the tropical, temperate and boreal zones of the world. Each forest type, evergreen and deciduous, coniferous and broadleaved, wet and dry, as well as closed and open canopy forests, has its own uniqueness and together these forests complement one another and perform the various socio-economic, ecological, environmental, cultural and spiritual functions. Forest conservation is the practice of planning and maintaining forested areas for the benefit and sustainability of future generations. The sustainable production of forest goods and services and the conservation of biological diversity in forest ecosystems, as well as the equitable sharing of benefits arising from the utilisation of the genetic resources would require concrete actions at both the national and international levels. This book covers the theory and practices of planning and maintaining forested areas for the benefit and sustainability of future generations. SE04-471 Woodland Development: A Long-term Study of Lady Park Wood. Sustainable forest management is the management of forests according to the principles of sustainable development. Sustainable forest management has to keep the balance between three main pillars: ecological, economic and socio-cultural. 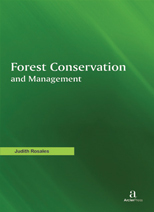 This book presents methods and operational examples of forest change detection, forest defoliation monitoring, forest classification, and forest growth modeling. Vegetation is plant life, which can vary from unexplored tropical forests to the cultivated plants of a farm or garden. Vegetation provides food, shelter, habitat, and a number of other services to the natural world, whether it is clinging to sandy dunes in the desert or taking over abandoned properties in a settled temperate zone. This book presents comprehensive, integrated account of plant communities and their environments. SE04-415 Modelling, Monitoring and Management of Forest Fires III. SE04-409 Innovation in Forestry: Territorial and Value Chain Approaches. SE04-395 Physiological Ecology of Forest Production: Principles, Processes and Models. SE04-397 The Dry Forests and Woodlands of Africa: Managing for Products and Services. The dry forests and woodlands of Sub-Saharan Africa are major ecosystems, with a broad range of strong economic and cultural incentives for keeping them intact. However, few people are aware of their importance, compared to tropical rainforests, despite them being home to more than half of the continent's population. This unique book brings together scientific knowledge on this topic from East, West, and Southern Africa and describes the relationships between forests, woodlands, people and their livelihoods. Dry forest is defined as vegetation dominated by woody plants, primarily trees, the canopy of which covers more than 10 per cent of the ground surface, occurring in climates with a dry season of three months or more. This broad definition - wider than those used by many authors - incorporates vegetation types commonly termed woodland, shrubland, thicket, savanna, wooded grassland, as well as dry forest in its strict sense. 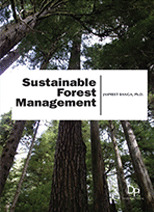 The book provides a comparative analysis of management experiences from the different geographic regions, emphasizing the need to balance the utilization of dry forests and woodland products between current and future human needs. Further, the book explores the techniques and strategies that can be deployed to improve the management of African dry forests and woodlands for the benefit of all, but more importantly, the communities that live off these vegetation formations. Thus, the book lays a foundation for improving the management of dry forests and woodlands for the wide range of products and services they provide. The first text in a series of single topic ecology books, Tropical Forests is an ideal text or supplement for introductory biology, ecology, and environmental science courses. It provides students with an accurate, easy to read, and easy to understand account of this important biome that is often covered too briefly in general texts. This guide provides a compact picture of the world's tropical forests with overviews on the meteorological and geological influences on the biology of the ecosystem. It describes many of the interactions of plants and animals of the tropics in an evolutionary context. It's narrative style and clear illustrations and diagrams engage students, and paint a clear picture of the important concepts presented throughout the text. SE04-361 Seventh International Woodfiber-Plastic Composites Conference (And Other Natural Fibers). SE04-361 Proceedings of the 2nd Annual Conference on Durability and Disaster Mitigation in Wood-Frame Housing.